We are delighted to announce that Peninsula Productions has won the City of Surrey Mayor’s Arts Award in the Arts and Innovation Category. 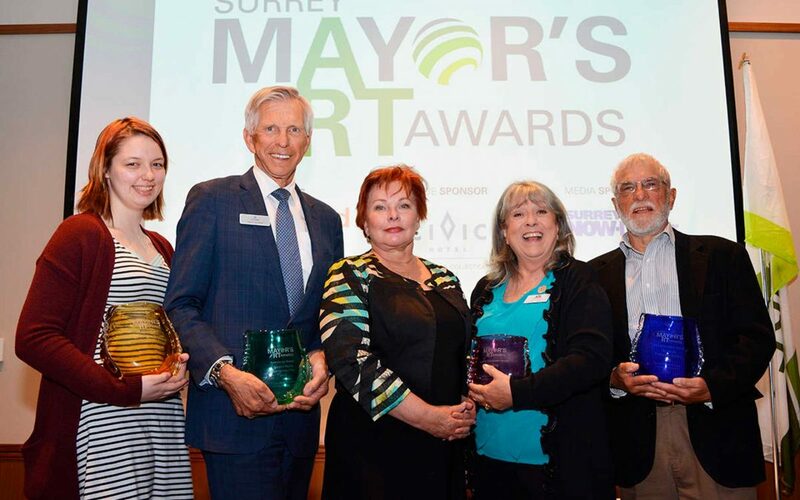 The second annual Surrey Mayor’s Arts Awards, launched in 2017 by Surrey Board of Trade to recognize those who make a difference in Surrey’s arts and culture sector, was held at Century Group’s new Civic Hotel on Friday, June 15. The Arts and Innovation award is given for “originality, ingenuity, and resourcefulness within the creative sector.” Peninsula Productions’ President Geoff Giffin was on hand to pick up the beautiful glass award statue crafted by Surrey-based artist Robert Gary Parkes. Lovely Review in the Vancouver Sun!